StoryTel i Kota Kinabalu, Malaysia: Reservér nu! 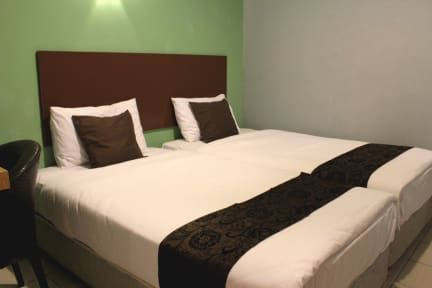 All our 32 rooms are very comfortable and fully furnished, including air-condition, free Wi-Fi internet, private bathroom with hot and cold water and brand new flat screen TV with Astro Channel. 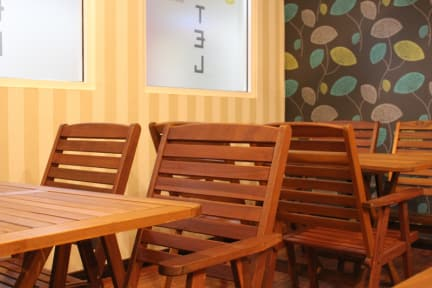 Within the lobby area you will be facilitated LED TV with Astro Channel and free Wi Fi internet. We also provide smoke alarm system and CCTV system to ensure our guests safety.